After having performed many hundreds of projects both large and small for area businesses, we have developed the right management team and specialists to not only meet – but exceed our clients’ expectations. Recognizing an opportunity in the marketplace, Northeast Contracting Solutions INC was incorporated in 2010 as a response to the high expectations of facility managers, plant engineers, and property owners. Our team of professionals manage our client’s projects from start to finish – and we pride ourselves in our ability to respond to our client’s needs – whether planned – or unplanned. We do whatever is necessary to bring projects large and small to completion and take pride in the results of a job well done. We stress professionalism and cleanliness on all our jobs, provide communication with our clients regarding scheduling and job progress, and go out of our way to make sure that the impact on your business is minimal. We recognize that you generate revenues when your employees are performing, so we strive to complete our work on time-efficiently and quickly. NCS provides its clients with quotes in a timely fashion, in a descriptive narrative that allows the client to better understand his/her options, and helps make the decisions that will impact your facility and/or your business in the way you expect. We look forward to meeting with you to discuss how we could become your most valued vendor/facility service provider. 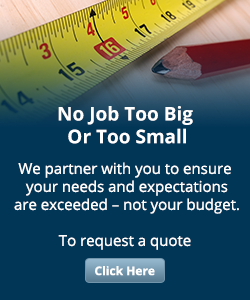 If you are interested in a service quote, please click here for your contracting needs.